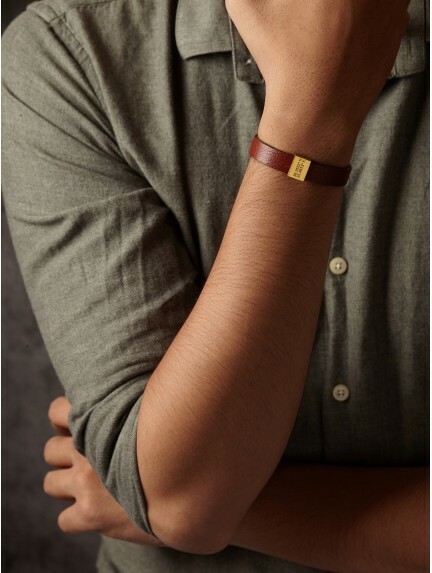 Crafted in a clean silhouette at our in-house workshop, this leather men's coordinate bracelet is where old-school quality and modern style meet. 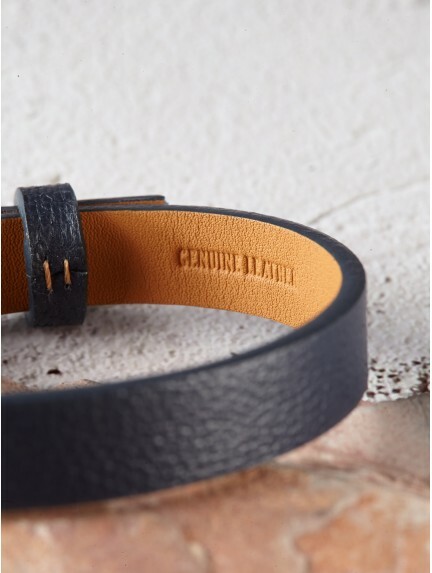 We use top quality genuine leather for this contemporary men's custom bracelet and sterling silver for the minimalist charm. 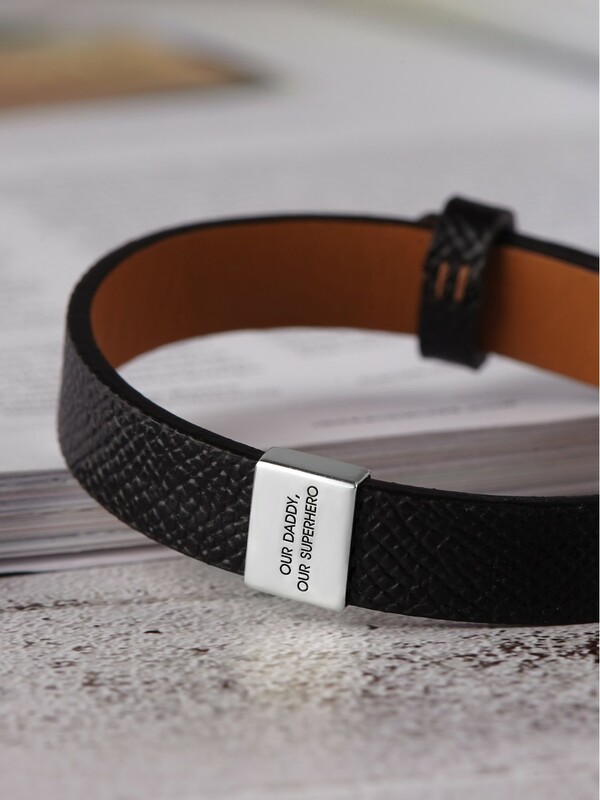 Adjustable with three different holes like a watch band, this men's personalized bracelets is engraved with the GPS longitude and latitude of your special place. 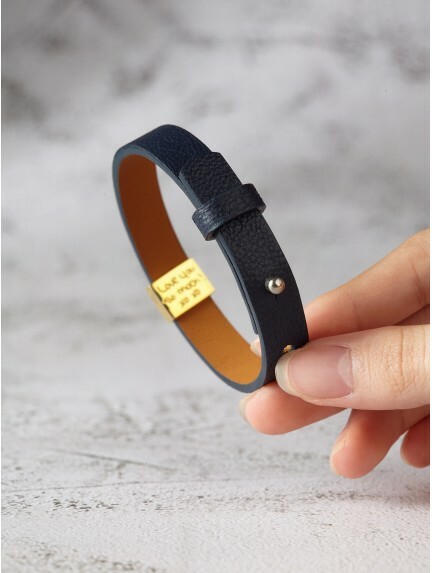 A wonderful choice as anniversary gift or graduation gift for him, this leather bracelet for men will please any man, from the fashionista to a man who prefers subtler items. - We strongly recommend you to enter the address instead of the coordinates as getting the correct coordinates could be difficult. The address provided will be converted to GPS coodinates format displayed. 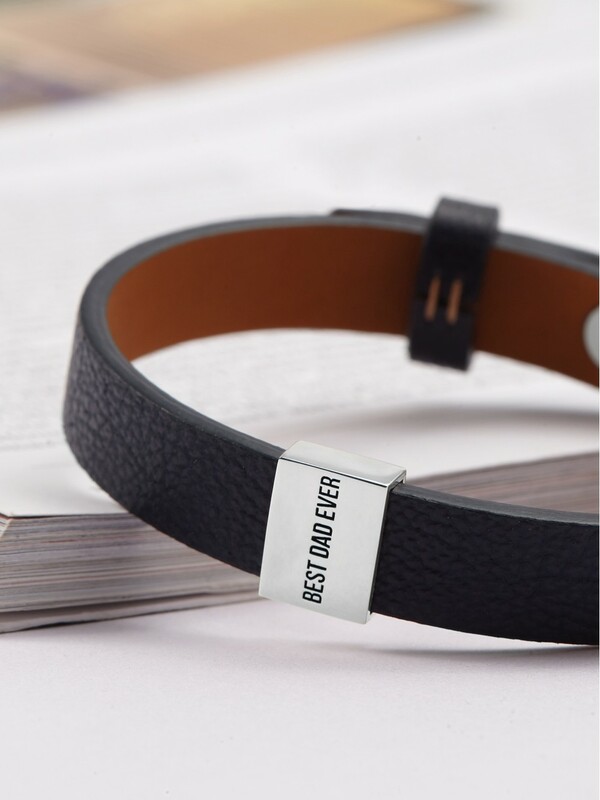 Upon receipt of full payment and full personalization details, we will take 12-14 days to process and create your personalized items. We cannot rush our production time, but we offer expedited shipping options. If you need something by a certain date, please let us know in the “Instructions and Requests” field or email us at [email protected] We will try our best to accommodate your request - but we cannot offer a guarantee as handmade process can be influenced by many factors that we cannot foresee. Every Rugged Gifts item comes packaged in a complimentary gift box with care. For the leather band bracelet and silver bracelet, please refer to the size charts and guides that are linked at the bottom of our page. 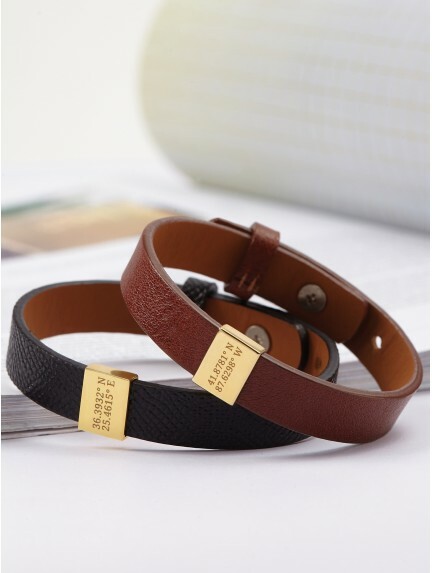 Regarding to the leather cord bracelet, it can be adjusted approximately from 4.5" to 11.5". You can also send us an email at [email protected]s.com to have further advise. 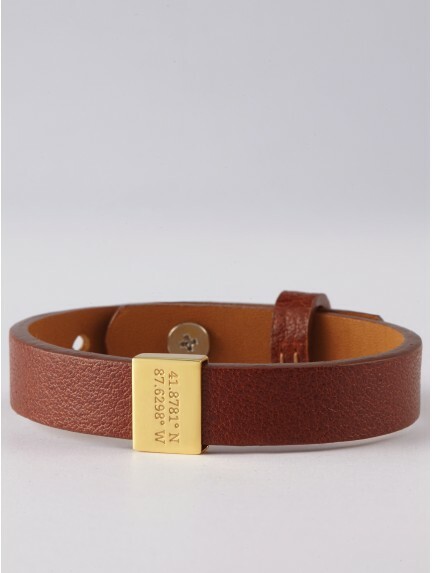 4) Can I change a part of your default message on one side of the keychain/bracelet? Definitely yes. 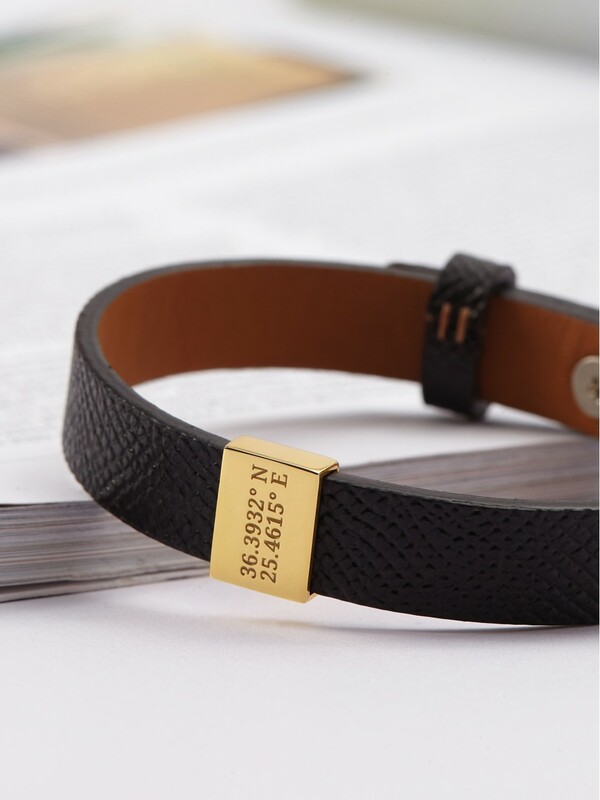 Simply give us instructions in the “Instructions and Requests” field or email us at [email protected] We will do the engraving as per your request. 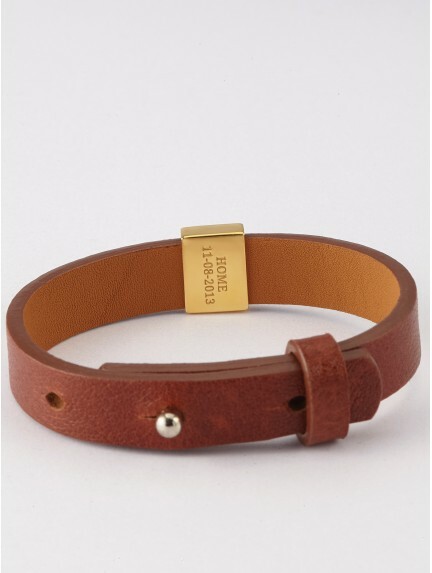 5) Can the leather band bracelet be engraved on the leather section? 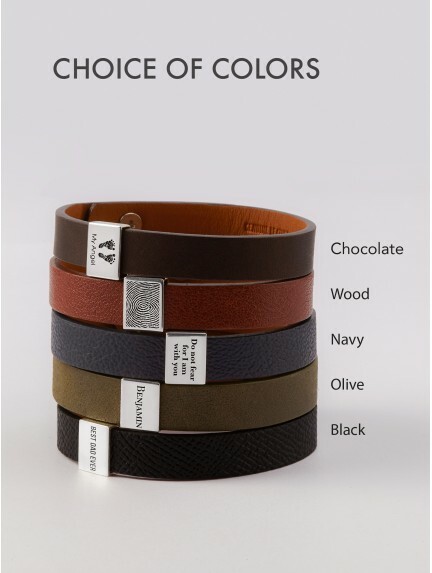 6) Can you add more silver charm on the leather band bracelet? Yes we can do that. Please email us at [email protected] to get further advice and instruction. 7) I do not have images of the handwriting/fingerprint/signature/handprint or can’t upload them. 8) Can you combine multiple handwriting or signatures from different images? 9) Can you fix a spelling error or a word in my original handwritten note? 10) I'm having trouble placing my order online; can you help? 11) Is there a number I can call?